Chris brings a raft of skills and experience to his role as Chief Executive Officer with the Land’s Edge Foundation. Hailing from the Barossa Valley he grew up surrounded not only by world renown grapes but also by the Hospitality Industry. So, it was natural that he ended up with a Bachelor of Business in Tourism & Hospitality. His hobby of frequently disappearing into the Australian wilderness on solo expedition style bushwalks led him to the USA and then later, to redefine his career completing a Cert III & IV in Outdoor Recreation. 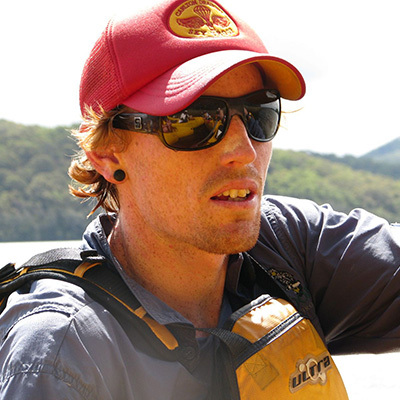 He began work with what was then Land’s Edge NSW in 2009 starting in a field role and ending up as Head of Outdoor Education. In 2014 Chris took a break from the role to open and run a successful café in Kiama. 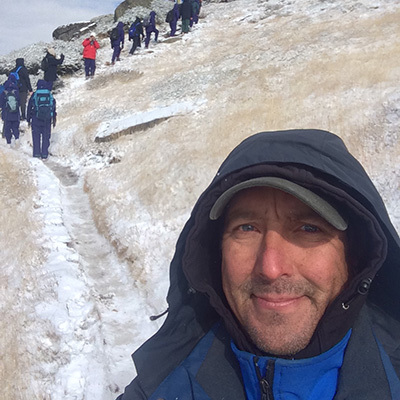 A year later he was back at the Land’s Edge helm and in late 2017 he accepted the role of CEO with the Land’s Edge Foundation where his hospitality and business management skills, Land’s Edge corporate knowledge and a passion for education outdoors intersects. Kevin studied at Gordon College in Boston, Massachusetts where he achieved his Bachelor of Arts in Business Administration but kept this information under his cap when he first applied for a job as a surf instructor with the Land’s Edge Surf School in 2007. It became obvious pretty quickly, that although a talented surfer and instructor, Kev had skills the company could utilise out of the water too. He held the role of Staffing Administrator for several years until accepting the Business Manager position in 2013. Kev was integral in the transition of the company into a Not for Profit entity and is now responsible for the financial operations of the Foundation. Dale’s degree in Environmental Science and Cert IV in Outdoor Recreation has been a natural fit for his role as Director of Chowder Bay since 2011. The Land’s Edge Foundation accommodation facility in Chowder Bay allows Dale to wear both an Outdoor Education hat when facilitating the Foundation’s unique Sydney based programs and a scientists’ hat when running curriculum programs or when collaborating with the Sydney Institute of Marine Science also situated in the Chowder Bay precinct. These skills coupled with his attention to detail ensures that all guests in Chowder Bay and the Outdoor Education Programs he coordinates elsewhere for the Foundation are a great success. 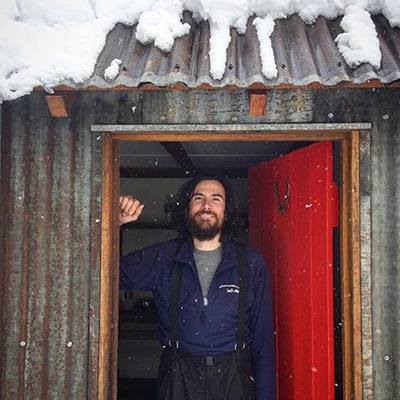 Brendan hails from Rhode Island, USA via Christchurch, NZ and brings with him outdoor experience in abundance. He holds a Bachelor of Sustainability & Outdoor Education and has worked as an outdoor educator throughout the world. He is a strong advocate for environmental education and environmental & social sustainability and shares his knowledge in such a gentle and unassuming way that his highly requested leader tag is well earned. Another convert from the Hospitality Industry, Roy has spent the last 13 years in the Outdoor Recreation Industry and brings to the Land’s Edge Foundation a mountain of experience in facilitating and coordinating programs for a diverse range of clients, in particular, with special needs groups and youth at risk utilising wilderness therapy. He is also a trainee paramedic which adds another dimension to the vast list of skills that staff hold at the Land’s Edge Foundation. Roy is found coordinating Outdoor Education Programs in the field just as often as he is tied to his desk in the organisation of them. There really is nothing that Josh cannot do. He has been the ‘go-to’ guy at Land’s Edge since 2014. Not only does he know where every piece of equipment is, he knows its state of cleanliness and who used it last. He has the make and model of every vehicle on instant recall and is on first name basis with all suppliers. But first and foremost, he is an experienced and trusted Outdoor Educator that the Foundation is lucky to have on every Program that leaves the Depot. 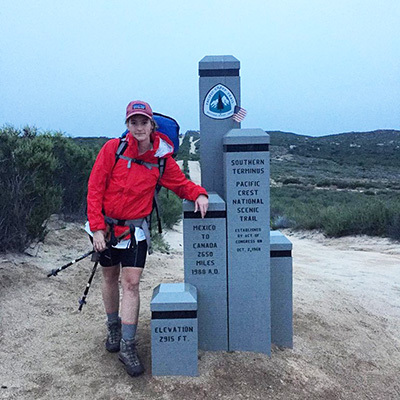 Annie found her love of the outdoors and desire to be involved in Outdoor Education whilst completing a solo bushwalk of the Rocky Mountains. Annie is so multi-talented that you are just as likely to find her behind her desk booking subcontractors for Outdoor Ed Programs as you are to find her as your Group Leader in the field or as you are to find her knee deep in packets of pasta in what’s affectionately known as ‘Food World’. Annie is an integral part of the Land’s Edge Foundation Team. 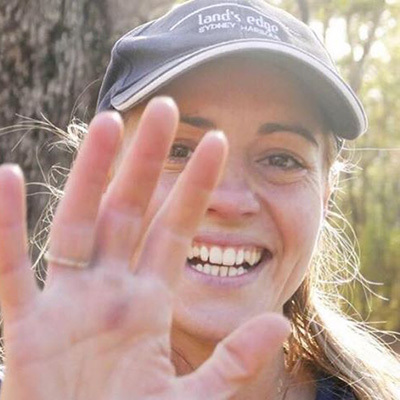 Having worked as the Event’s Coordinator for the Hillsong Group for many years, Bec hopped on board the Land’s Edge train in 2017 just before the company’s transition to a Not for Profit. 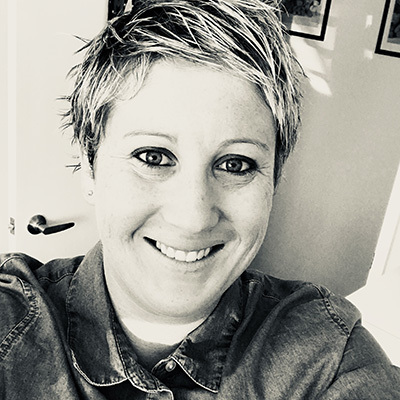 Bec has born witness to the Foundation’s evolution and her exceptional organisational and logistical skills set the tone for the Foundation moving forward. Bec’s genuine ‘can do’ personality is both infectious and inspiring. Simone is in charge of all HR and casual staffing within the Land’s Edge Foundation which is no mean task with a pool of 60+ casual staff and from your first chat with her you’ll leave feeling like you’ve known her forever. Simone’s outstanding organisation and solution-based attitude means the pieces of the logistical jigsaw that makes up an Outdoor Education Program slide together seamlessly. Jane holds the illustrious title of the longest serving employee at Land’s Edge – currently in her 12th year, she has seen the company grow from strength to strength. There really isn’t a job within the office that she hasn’t done and hence, her cooperate knowledge and natural care for everyone walking through the door is irreplaceable! Jane has been a major player in the transition to Not for Profit. 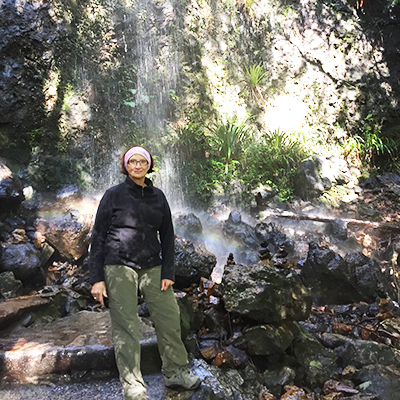 Jules’ Bachelor of Landscape Management & Conservation took her down the path of Natural Area Restoration & Management and from there to a Cert III & IV in Outdoor Recreation. Jules first worked with Land’s Edge in 2014. 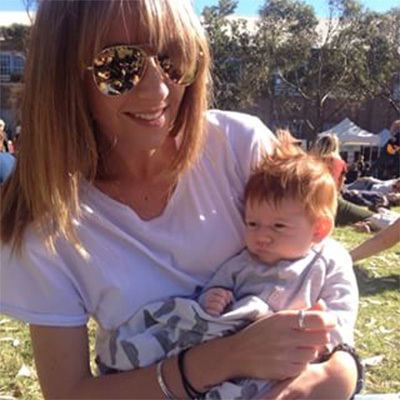 Since then she has become integral to the operations at Chowder Bay and all programs that leave Building 1 have Jules’ irreplaceable stamp on them. Deb oversees all the marketing and the booking of Chowder Bay groups and is the organisational dynamo in the Sydney office. She lives and breathes the bookings calendar and has knowledge of every client moving through the building. Instantly friendly, Deb solves all kinds of problems and requests, just ask! Antony has a Master of Emergency Management (Honours), a Graduate Diploma of Education (Secondary Teaching) and a Bachelor of Arts (Outdoor Education). He has over 25 years’ experience in Australia and overseas working with young people outdoors. Antony believes that education outside the classroom is the critical link between our urban existence and the natural world, a world that is perfectly placed to act as the instigator for inquiry and positive change. He was a Founding Director of Land’s Edge NSW and along with his new role as Board Member he works part time for the Foundation – either updating safety and procedure manuals or assisting with the facilitation of the Foundation’s flagship Outdoor Education Programs. Fleur holds a Bachelor of Arts (Outdoor Education) and a Graduate Diploma of Education (Secondary Teaching). 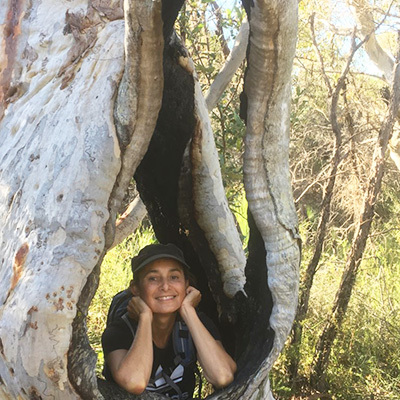 With this tool kit she worked extensively overseas and in Australia both as a classroom teacher and in the field as an Outdoor Educator growing from a green newbie into a skilled operator. With both vision and drive Fleur was a Founding Director of Land’s Edge NSW. That vision was to build an organisation capable of demonstrating how education outside of the classroom can engage eager minds in inspirational and long-lasting ways, how it can assist in developing a sense of place, how it can create a connection with natural places. The longevity of Land’s Edge and the thousands of participants Land’s Edge Programs have affected, speaks volumes for both the original dream and the inspiration Fleur has contributed to the organisation. Along with sitting on the Board of the Foundation, Fleur works part-time for the organisation ensuring that the culture and identity of Land’s Edge continues to go from strength to strength. For over 45 years, Steve has centred his personal and much of his professional life around mountains and skiing. Highlights include Olympic Cross-Country Ski Coach for India in Kashmir and three-time Australian Telemark FIS Speed Skiing Champion. Steve has contributed to the National Outdoor Industry Training Package and has worked for TAFE to deliver its Alpine Competency modules. For the past 19 years Steve has worked extensively with Land’s Edge NSW to develop its journey-based programs, refine its safety management procedures and to advance development in staff training. The Land’s Edge Foundation would not be the respected Outdoor Education organisation it is today without Steve’s belief, experience and hard work. Steve will continue to coordinate Outdoor Education Programs whilst fulfilling his new role as a Board Member. Enjoy your long weekend and add an outdoor adventure or two into the mix!! #easterbreak #reset #digitaldetox #relax #outdooradventures ⠀ #repost @mrmysto⠀..
Our Knox Grammar School Program in Kosciuszko National Park was an awesome success!! 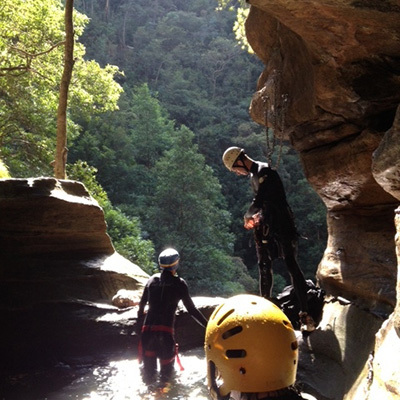 With abseiling, hiking and camping leading an action filled outdoor..
A recent Murramarang program from a student's perspective!